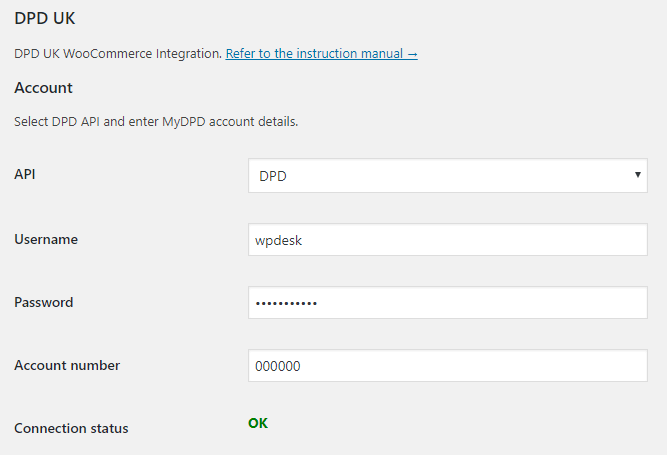 Enter the access data to your MyDPD account. Create shipments manually from the WooCommerce orders page or automatically based on the order status. Shipment Date Switch Select the hour after which the date of shipment will be set for the next day. By default all shipment date will be set on the same day the shipment is created. Create shipments By default you can create shipment manually in the order metabox or from bulk actions in the orders list. To create shipments automatically select Automatically and choose order status. Order status Select order status for automatic shipment creation. Complete order Enable to automatically change order status to completed after creating shipment. Label format The format in which the label will be generated. Tracking number Check to add DPD tracking number and link to the WooCommerce confirmation emails. 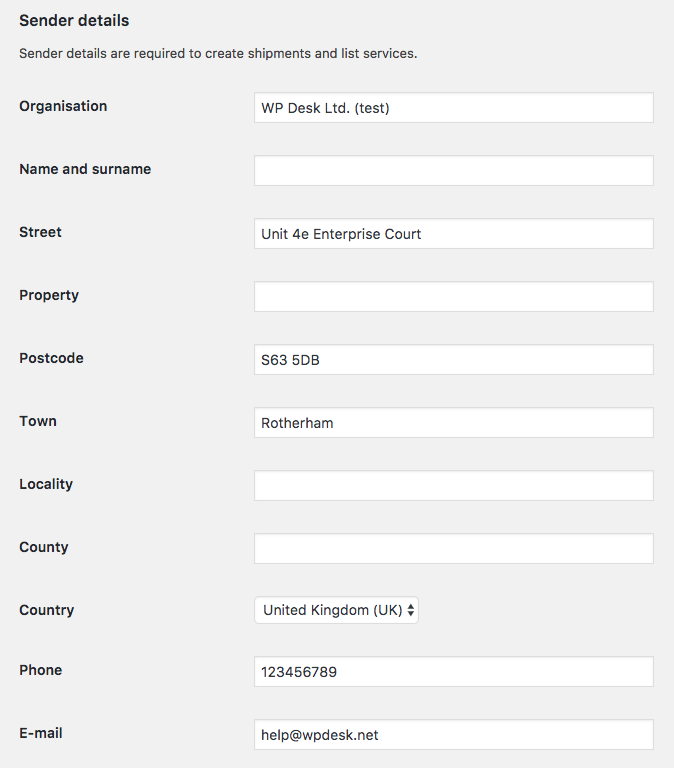 Sender details are required to create shipments and list services.